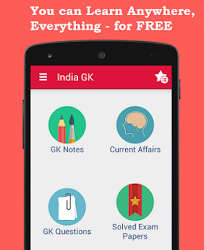 5, 6 May 2017 Current Affairs MCQs, Quiz, Questions: Current Affairs for May 2017, Daily Multiple Choice Questions (MCQs) for India GK, World GK and current affairs with Collection of daily objective type Question by www.Indiagk.net based on General Knowledge (GK) and General Science (GS) Questions for UPSC, State PSC, SSC, Police exam, Railway exam, SBI, Bank PO, IBPC, SSC, LDC, UDC, Army, Airforce, Navy, Coast Guard, Bank Clerk, TET and all entrance examination with current affairs News, Multiple Choice Questions (MCQs) available on Website www.IndiaGK.net and Android Apps with daily updates:. Which city has emerged as India's cleanest in the Swachh Survekshan 2017? Which Indian IT Company revealed its new logo in May 2017? Football team of which country breaks into top 100 in Fifa rankings after 21 years? India’s first private sector small arms manufacturing plant has set up in which state?